Quilts in this section were created as custom orders. 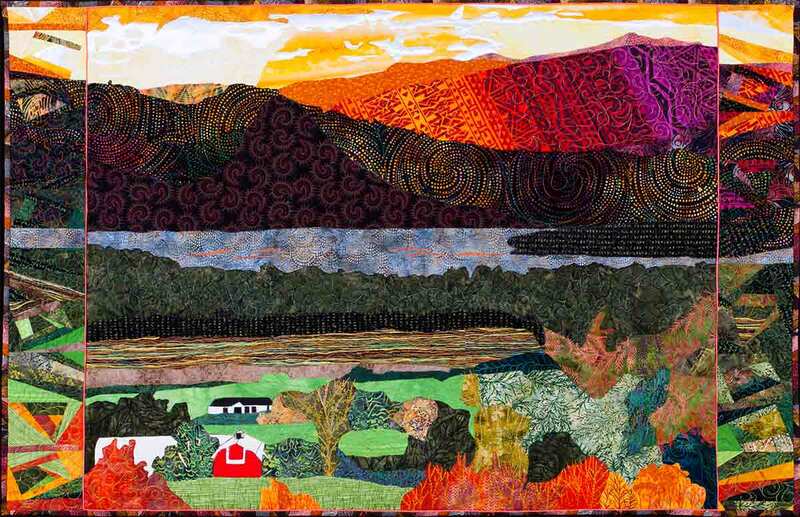 Click on any image to open a slideshow that displays larger sizes of the quilts. The slideshow includes options to view images full screen by clicking on the square icon in the upper left corner of the screen. Visit the Quilts for Sale page to view the current list of quilts for purchase. 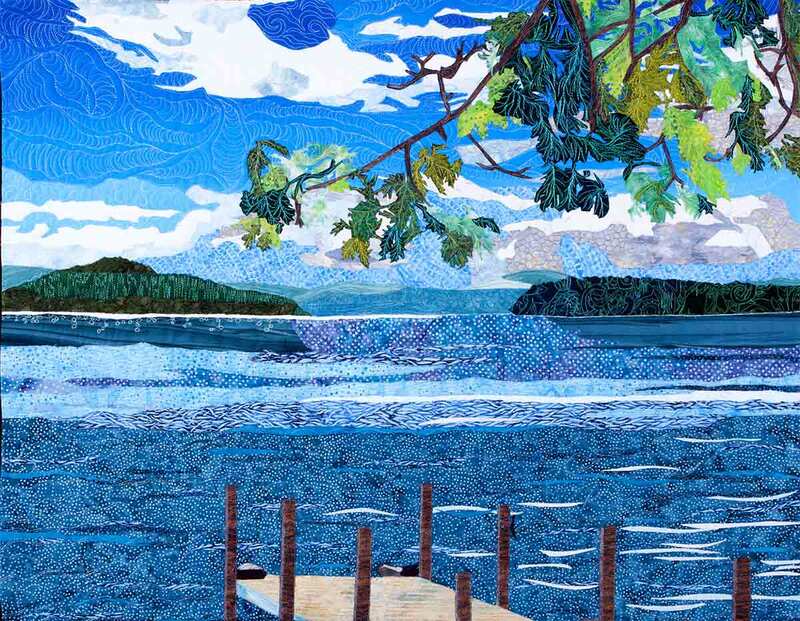 Lake Winnipesaukee - 30”H X 39”W. Cotton. Raw edge collage. Wedding gift, commissioned to combine two photos of this extraordinary place into one image. 680 Embought - 36"H X 46"W. Cotton. 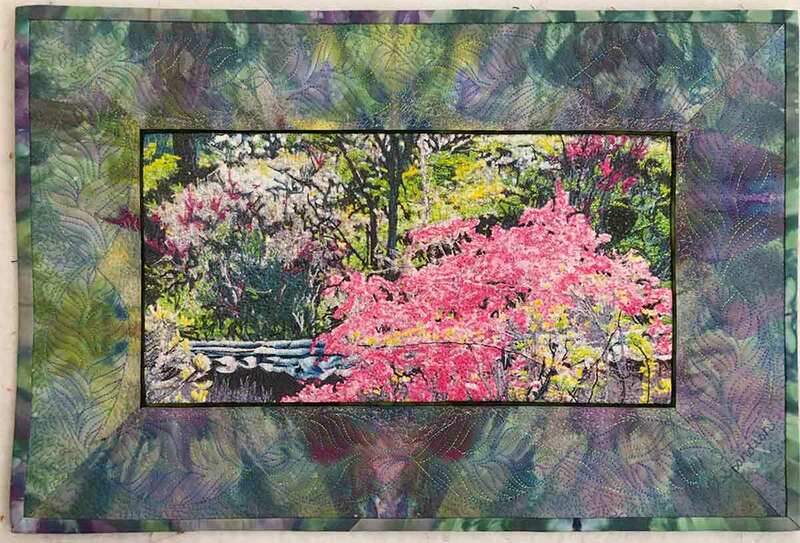 Raw edge collage, pieced border. Commissioned to capture the detail and mood of the house and landscape. Based on photo by Frederic Van Deusen. Sunset over Charlotte - 32”H X 50”W. Cotton. 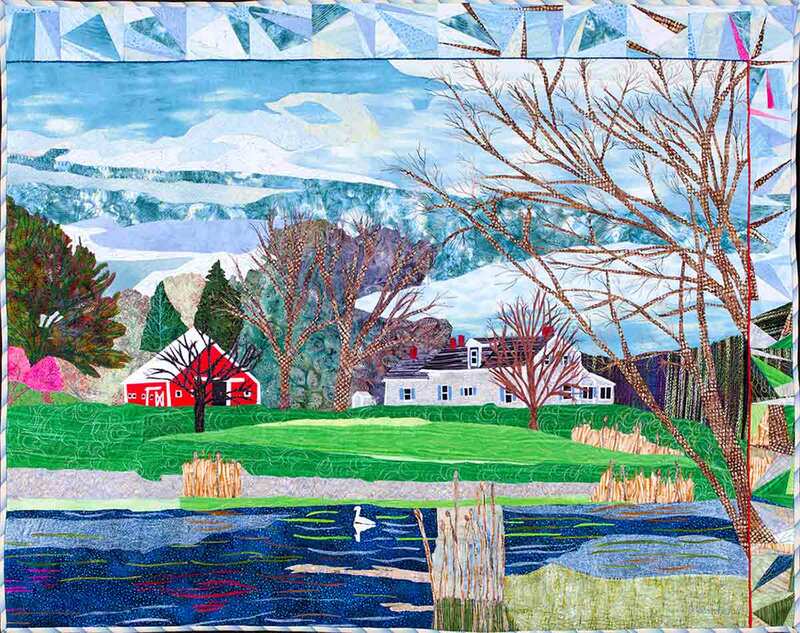 Raw edge collage, pieced border. Wedding gift, commissioned to capture the view and time of year near where the couple were married. Hyang Chul Rhee (Timeless Memories of Spring Time Fragrances) 13"H X 19"W. Cotton. The photo is a grainy old frame of a video taken of a garden in South Korea. Some help from Photoshop and dense thread work brought this photo to life. Along the Cabot Trail - 35”H X 43”W. 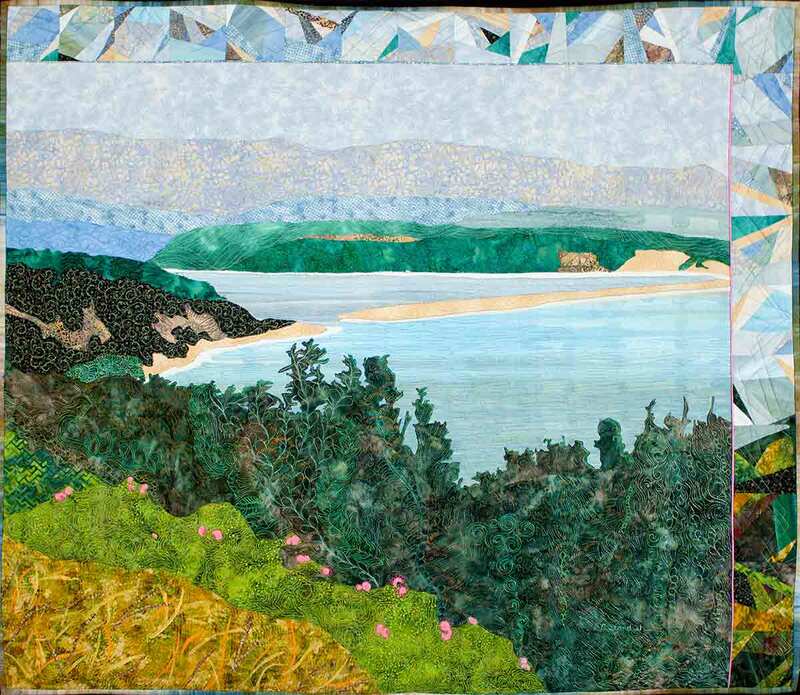 Raw Edge collage, pieced border. Cotton. Commissioned to raffle off as a fundraiser for Young Tradition Vermont. Based on photo by Deborah Travis.